Today is a very special day in my family as we celebrate my dad's birthday. We always had a grand celebration when whole big family would get together at grandmother's country house. There would be from fifty to hundred people laughing, singing, dancing, and us, kids, jumping on the haystack until we drop asleep around it. 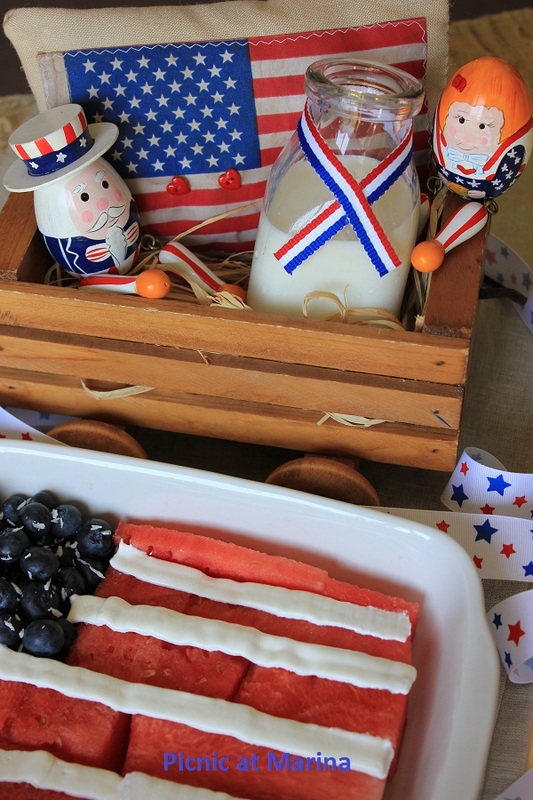 Even though we didn't live in the US then, one of the toast was to honor birthday of America. Little did we know, that years later my dad would raise a glass on Forth of July for his and America's birthday on the American land. And no matter how close or how far we are, tradition of Fourth of July celebration is kept alive in our family. Very patriotic pictures-))) Beautiful and so many colors! 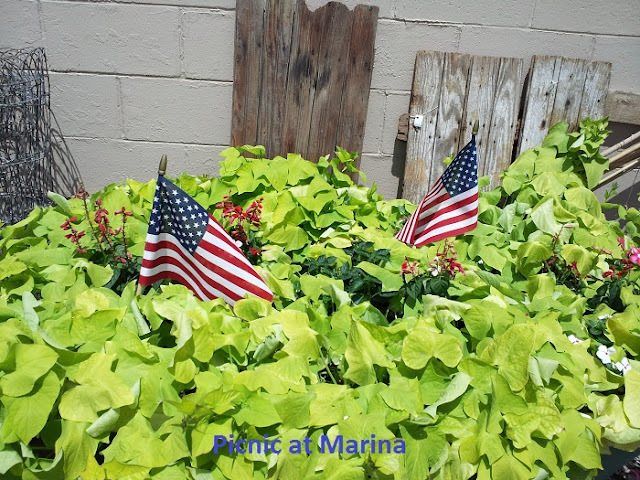 Happy Forth of July to you Marinochka! Lovely post! It is good to be proud of your own country! And it is awesome that you have a double celebration! That's sweet! Happy Birthday to your dad, and Happy Birthday USA! Very nice. I'll be toasting your dad's birthday, too! Have a great holiday! I love the watermelon flag, so cute. Happy 4th of July to you. Hope you have a fab day. It just started to rain here in Central Florida, luckily we only planned to hang around the house and munch, LOL. Happy 4th of July to you, and happy birthday to your dad! I hope you have a great day! Happy 4th of July and happy birthday to your Dad!! Have a wonderful day!